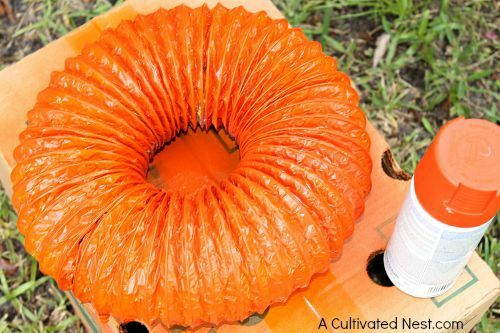 Surely you’ve seen the adorable dryer vent pumpkins that have popped up on Pinterest? 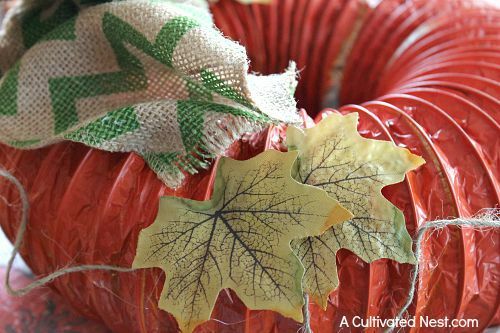 They’re such a cute and simple fall decoration! They’re very frugal as well, as you can purchase a dryer vent for under $10 and can make 2-3 pumpkins from one. I decided to step it up a notch by turning mine into a wreath, and I was very happy with how it turned out! Just a bit of paint, a few embellishments that I already had in my craft stash, and I had a pretty new wreath for the front door! 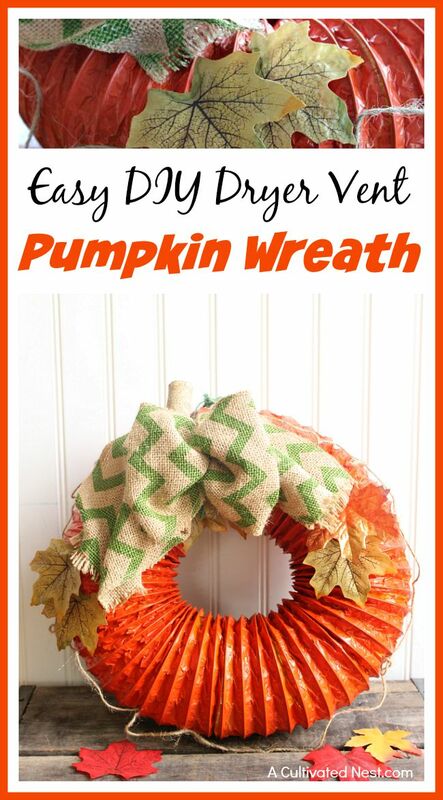 Follow these instructions to make your own Easy DIY Dryer Vent Pumpkin Wreath! You can paint your pumpkin wreath orange, or do it in unusual colors to match your color decor or preference- try cream, brown, burgundy, or even teal! 1. 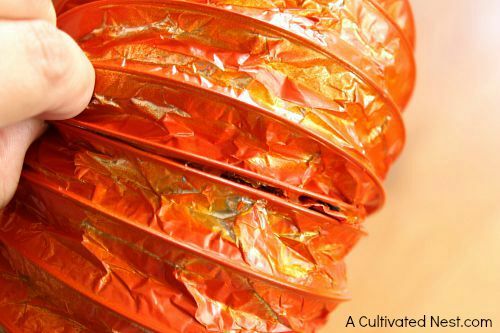 Cut dryer vent to preferred size from 12” to 36.” You can make your pumpkin wreath as large or as small as you like within this range, but cut it smaller than 12″ and the ends will not be able to touch. Larger than 36″, and it will sag. 2. Form into a circle. Pinch together ends with a clothespin and spray with 2-3 coats of orange spray paint. After final coat, allow to dry for at least 2 hours. 3. Secure end to end with hot glue, applying to 3 inches at a time, then hold together for one minute or until cooled and hardened. Continue all the way around until closed. 4. I am far from an expert bow maker, this is the simplest way I have found to make bows for my wreaths that come out uniform. If you don’t want to make a bow, you could just add your favorite store-bought one. 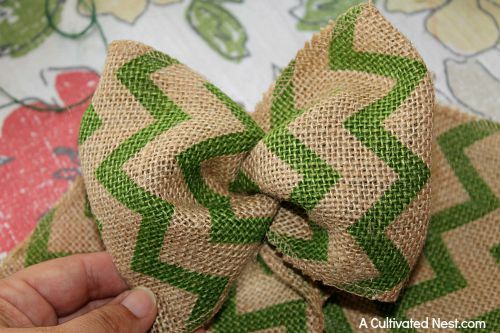 To make a bow, fold your desired length of burlap ribbon into an accordion, making the folds as large as you want the bow to be. 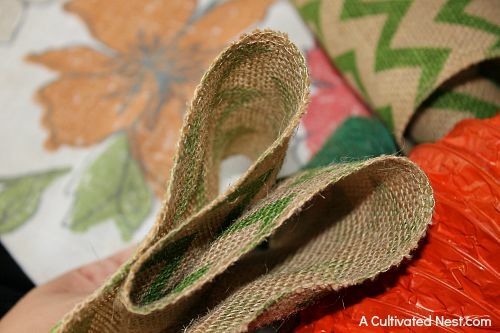 Wrap twine around the bottom of your accordion shape, making sure to catch all layers, tie off tightly then trim excess ribbon. Puff out the folds to create the bow, and cut ends to desired length. 5. Hot glue the bow to the top of your wreath, arranging the ends in folds and securing with hot glue. 6. Twist twine from top all the way around, making tendrils that resemble vines. 7. Add a wine cork to the very top for a stem. 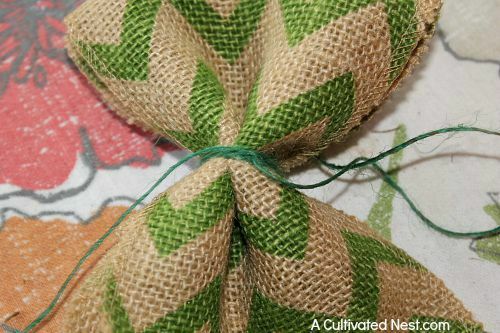 Include a few random silk leaves, and twine for a hanger. 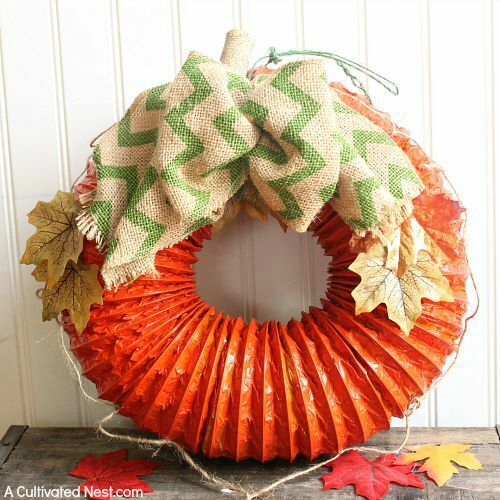 Then display your pretty new fall pumpkin wreath! 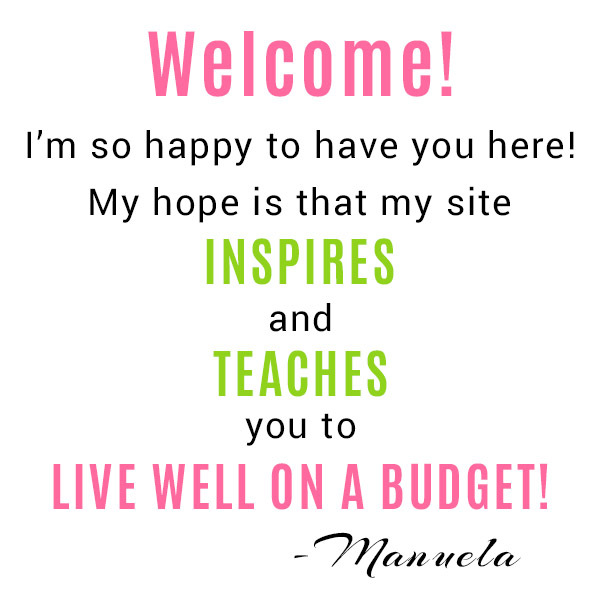 That is TOO cute:) Have a blessed day dear Manuela, HUGS! How cute and clever! TFS! This is super cute!! I love it!! 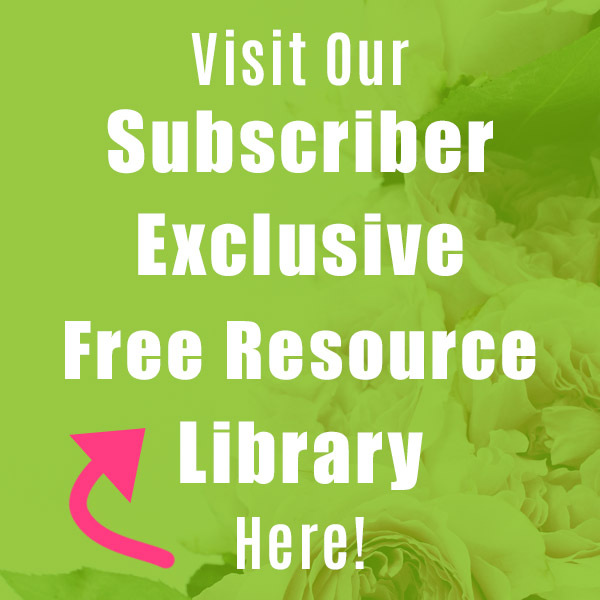 I would love for you to stop by and Join my Link Party – My 2 Favorite Things on Thursday!! It’s going on now until Monday. 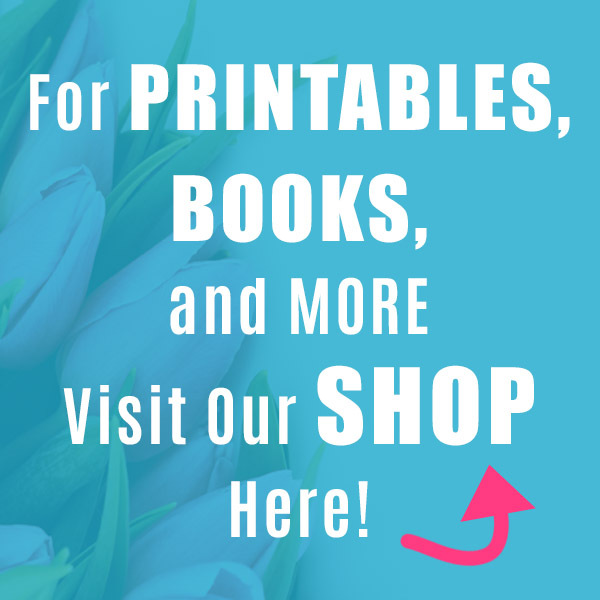 I would love to have you and I pin everything! Have a great week!! this came out cool! What a smart idea to use your drier vent – I never would’ve thought of it haha 🙂 thanks for sharing! Such a cute and easy idea. Thanks for the tutorial. So cute, and I think I might even be able to make it. 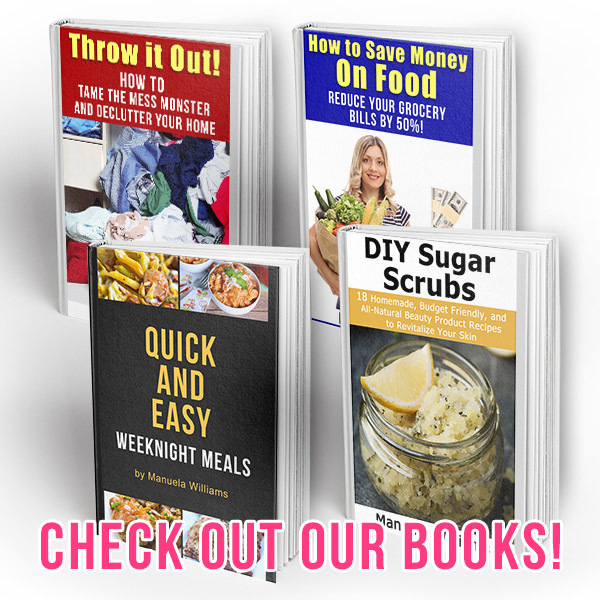 Thanks so much for linking up at #HomeMattersParty and we hope to see you again next week.